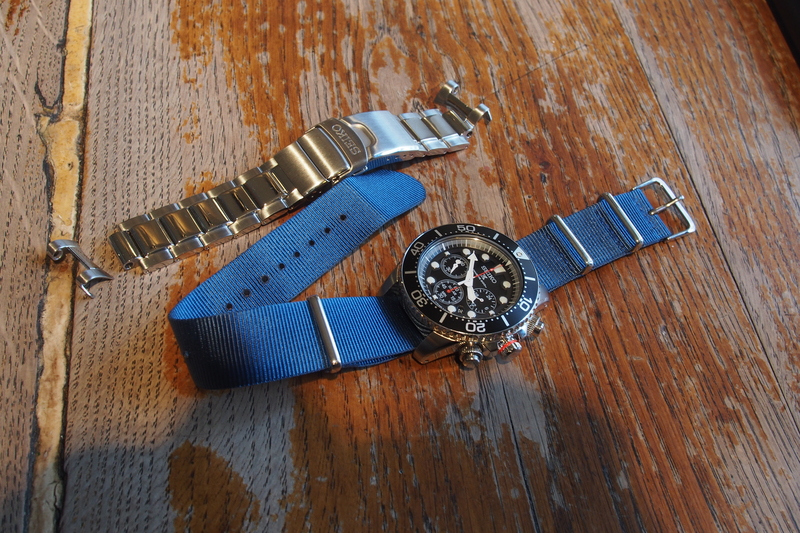 Replaced the metal bracelet for a nato-strap, much simpler. Recently I bought a new beater watch. You can buy all kinds of watches. For everyday the best watch is a beater watch that survives almost everything. There are all kinds of brands and models to choose from on the current market. How does this relate to discarding complications? Well I choose a watch that had the specifications I liked and checked the reviews. The results overall were positive and the manufacturer had a good reputation so a shop was next. Purchase made and after a few days a Seiko solar dive watch arrived. I was pretty happy with the watch until I encountered the metal bracelet. Putting on and taking off the watch was a complicated process. The bracelet or strap has only one function: to keep the watch on your wrist. When it does not feel right on your wrist, you change it. Something I do more as I age is to discard whatever becomes too complicated. What is complicated is not necessarily bad. When you do not value something as a tool for a purpose it no longer has a use now or later. You are better off selling it or giving it away. People in this age, the information age are engulfed in waves of complicated applications and devices that solve all our problems. Smart devices and smart applications combine many functions. Mobile phones have reduced watches to luxury products for many people. Thing is, even my sturdy Nokia (yes I still have one!) will die some day. My automatic watch with a self-winding mechanism will run for decades. The Seiko dive watch runs on sunlight and artificial light, should work for years. My watches are simple devices that will easily do their job without needing chargers for reliable performance. Yet, even a bracelet for my watch can be made simpler and more effective. It is all in the details. Posted in Short Reads and tagged applications, beater watch, bracelet, complications, discarding, effective, nato-strap, people, Seiko, simple, smart devices, watches on February 22, 2018 by rura88.